Our 40th Anniversary Party was a smashing success! Thank you to all who came out to celebrate with us! Browse through the gallery of images below for the highlights; live music, champagne, hors d'oeuvres, and a store full of wonderful customers, family and friends! Here's to forty more years! On last night's episode of Nashville, one of our stunning Victorian era cameos made an appearance as a treasured piece that once belonged to Rayna's mother! In the scene, Rayna was going through her jewelry box, showing Luke the cameo, saying "My mother wore this almost every day of her life. This and Chanel No. 5." Be sure to tune into Nashville to catch more beautiful pieces from Walton's! Nashville season three premiers September 24th and they are off to a glorious start! The very first episode and the second episode of the season will feature two Walton's pieces! In the first episode, one of the main characters will be wearing this vintage 1950's yellow gold Lemania Tourneau chronograph watch. In the second episode a leading lady will be wearing and sharing stories about this lovely Victorian shell cameo broach that her character inherited from her family. 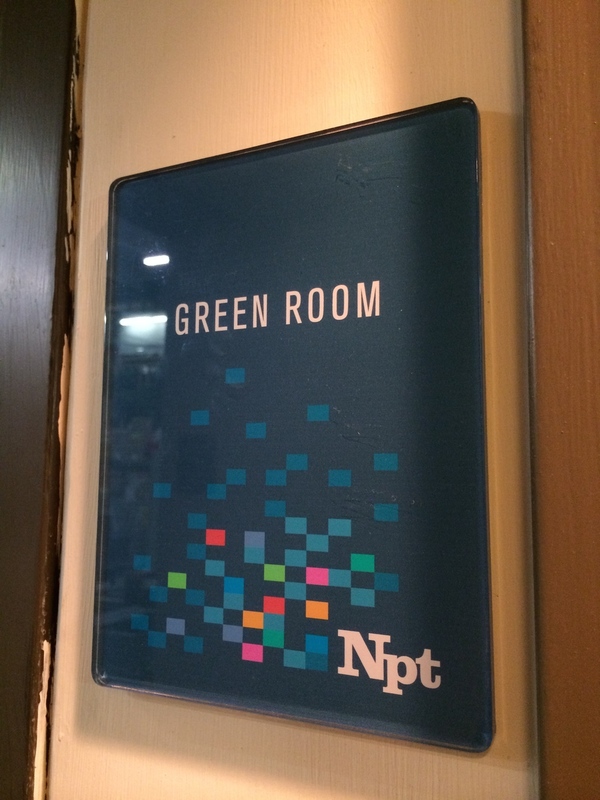 We are thrilled to be a part of another season of Nashville! Stay tuned! 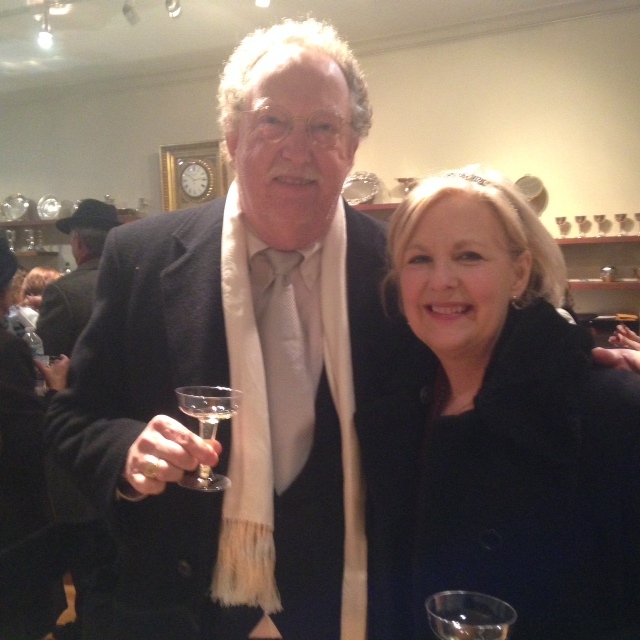 The Walton Duo, Mike and Julie, set up shop at the NPT Appraisal Fair this past weekend. Attendees were given the opportunity to bring up to five items to have verbally appraised by experts in a variety of fields. With over 250 people registered and over 939 items to be appraised, it was a busy day with many interesting items to see! Check out the images below to see a few of our favorites! Victorian Era gold broach featuring rose cut diamonds set in black onyx with enameling details. An emerald cut Harry Winston diamond ring. Victorian Era gold locket featuring pictures of great grand parents. Ruby and Old European cut diamond ring. Art Deco Old European cut diamond bracelet in platinum. Turn of the century pocket watch with a beautifully detailed face. Check out the article below from Williamson Source featuring Walton's 40th Anniversary Giveaways! Williamson Source is launching a segment for their Lifestyle Show for the spring wedding season featuring a variety of different wedding inspired vendors! We are thrilled to be their go-to for engagement rings and wedding bands! Watch Walton's segment below! 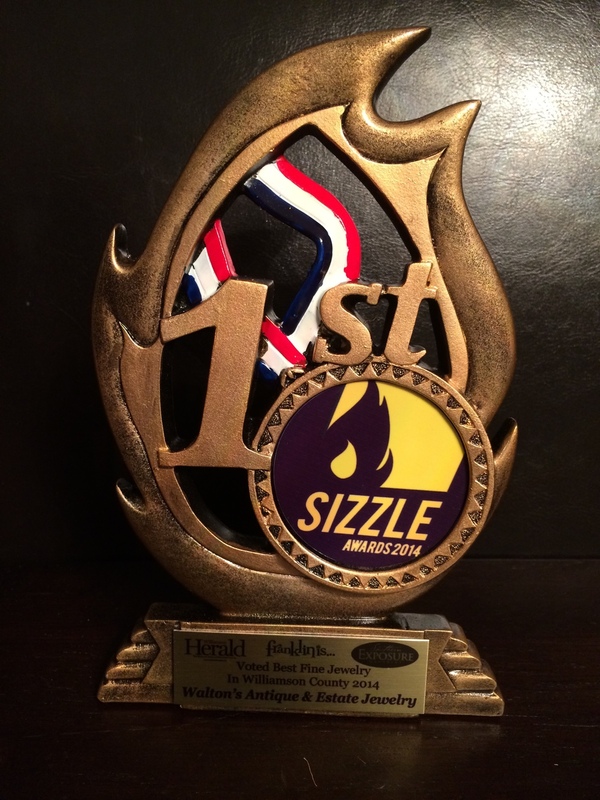 Walton's has been voted Best Fine Jewelry in Williamson County for the 2014 Sizzle Awards! Thank you so much to all who voted for us and for your continued support! We wouldn't be here without each and every one of you! Three Blind Vines, the annual fund raising event for the Next Generation Heritage Foundation of Franklin and Williamson County, is happening this Friday, February 21st, at the Factory in Franklin! The evening will include hundreds of bottles of wine to sample, live entertainment, hors d'oeuvres from Gray's on Main and the ever popular silent auction! This year, Walton's has donated this lovely Art Deco diamond and filigree pendant! 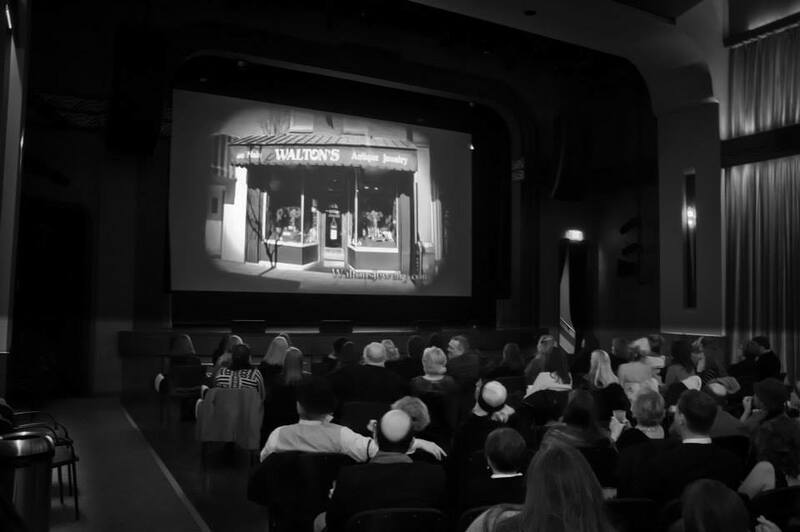 The funds raised by the silent auction support construction and on going preservation of the historic Franklin Theatre. For your opportunity to support and contribute to this great cause (and to bid on a gorgeous piece of antique jewelry! ), check out www.threeblindvines.com for more information and tickets. 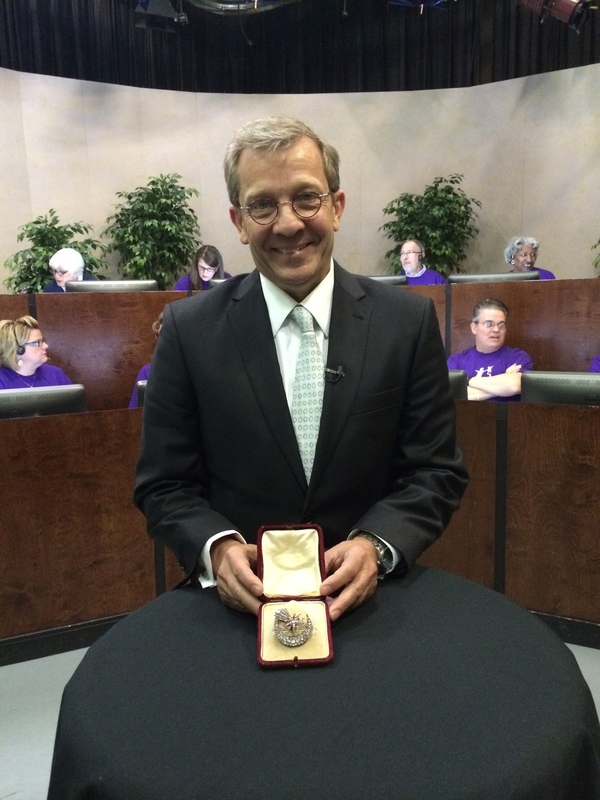 Walton's donation: beautiful Art Deco white gold filigree and diamond pendant. W Magazine just released "Pillow Tweets", a photo shoot by photographers Mert Atlas and Mac Piggott featuring a slew of A-List celebs styled by Edward Enninful. Get the look at Walton's with a pair of gorgeously unique vintage yellow gold and diamond flame earrings that look identical to those worn by Miley Cyrus! Longtime friend and customer, Sheryl Crow, had a photo shoot last fall on her farm here in Middle Tennessee with an exciting twist: Walton's Jewelry! 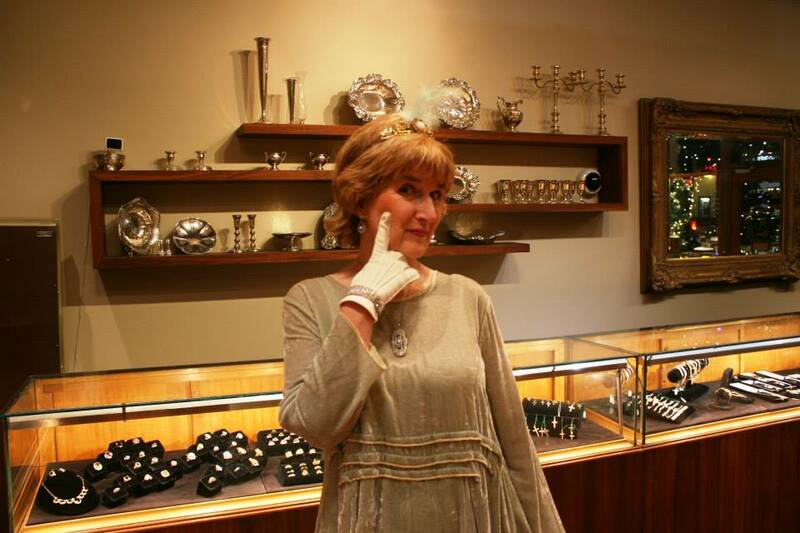 At this exclusive photo shoot done just for Walton's, Sheryl did a phenomenal job modeling a selection of ours, and her, favorite Art Deco jewels! In the third image, Sheryl is wearing one of her own Walton's pieces, a Victorian hand crafted heavy gold chain and locket. Last September, she released her 8th studio album, Feels like Home, and just recently announced that she will be joining Rascal Flatts on their 2014 tour, Rewind. We can't thank Sheryl and her team enough for sharing this experience with us, and wish her all the best in what promises to be a successful year! Sheryl's necklace: Art Deco Tiffany and Company diamond necklace. Sheryl's left wrist middle: Art Deco diamond and sapphire bracelet. Sheryl's left wrist top: Art deco diamond and platinum bracelet. Sheryl's right hand: Art Deco diamond and blue zircon cocktail ring. Sheryl's left wrist bottom: Art Deco diamond and platinum bracelet. Sheryl's left hand: Art Deco diamond and ruby cocktail ring. Sheryl's earrings: Art Deco pear shaped diamond earrings. Sheila Fischer and Beth Curley, CEO of NPT. The Walton's Jewelry Crew: Mike Walton, Julie Walton, Linda Parker, Jan Speer, Jennifer Barton. Julie Walton, Patrick Garland, Linda Parker, and Jennifer Barton. Beth Curley showing off her Walton's Jewels during her introduction speech. Beth Curley, CEO of NPT. 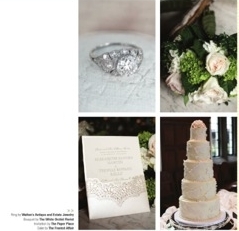 Check out our sneak peek into the NFocus Magazine bridal photo shoot for the January issue featuring Walton's Jewelry! The models wore a collection of Art Deco diamond jewelry from Walton's that paired beautifully with the gorgeous designer gowns! The shoot took place at the beautiful Riverwood Mansion in East Nashville. The issue will hit new stands at the end of December! Art Deco diamond and platinum necklace with 1.98 carats total weight in diamonds. Top bracelet: Art Deco diamond and platinum bracelet with 7.00 carats total weight in diamonds. Bottom bracelet: 1920's diamond and platinum bracelet with over 10.00 carats total weight in diamonds. All original Art Deco 3.40 carat Old European cut diamond set in an Art Deco platinum mounting with diamond detail. All original 1920's diamond and platinum on gold earrings with 2.50 carats total weight in diamonds. All original Art Deco diamond and platinum pin/pendant with 4.00 carats total weight in diamonds. 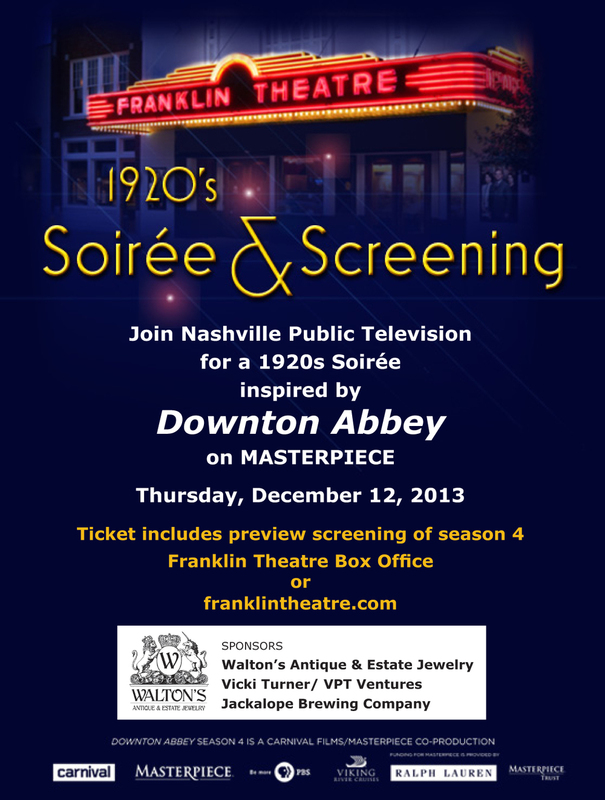 On December 12th, Nashville Public Television is screening the premier of season four of Downton Abbey at the Franklin Theatre! 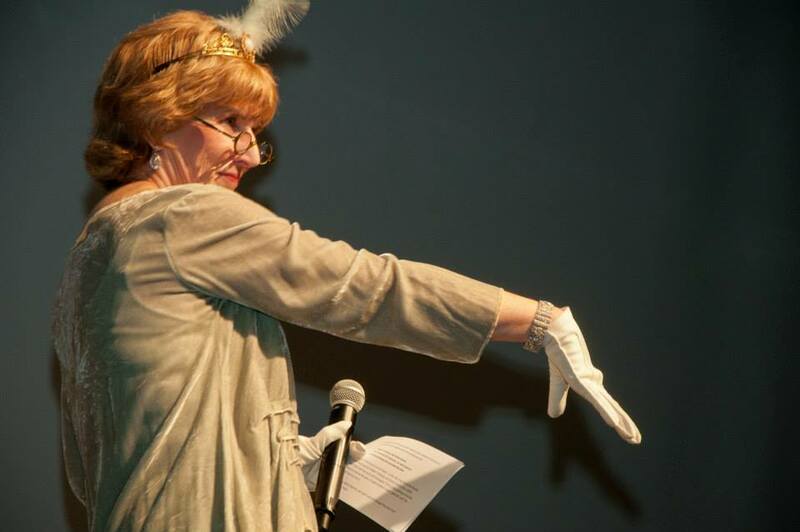 The evening will begin with a 1920's themed soiree featuring wine from Vicki Turner and beer from the local Jackalope Brewing Company. 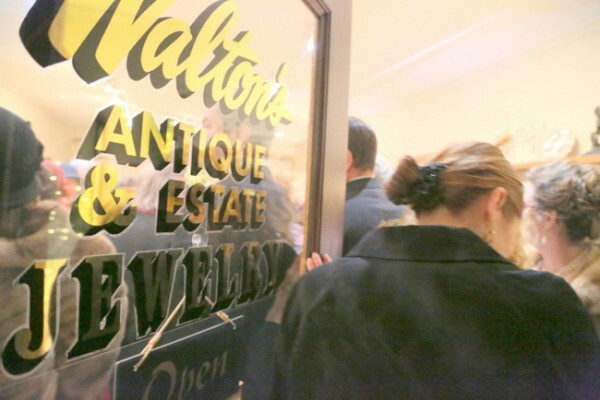 Walton's is sponsoring the soiree and screening, adding Art Deco sparkle to the evening! 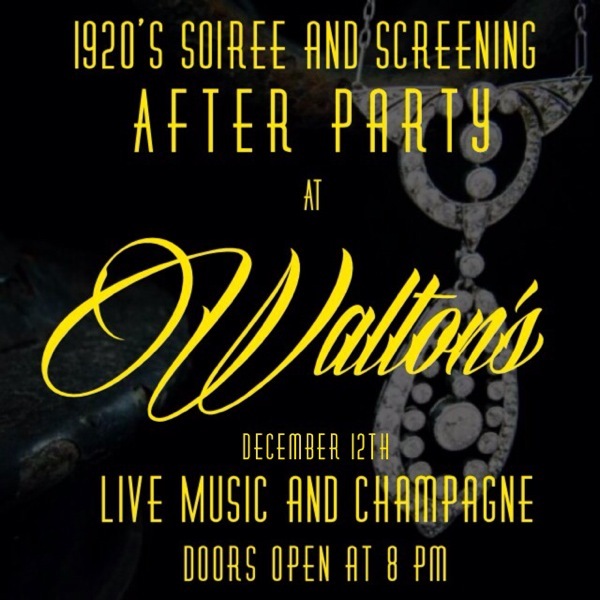 Walton's will also be hosting the after party at our store across from the Franklin Theatre with champagne, live music, and more Art Deco flare! 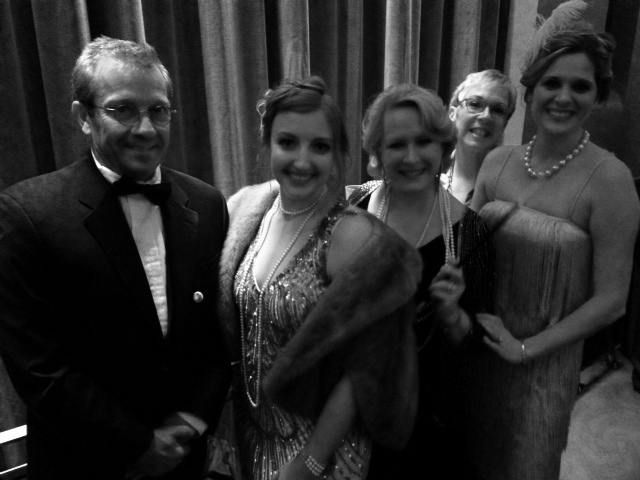 Attendees are encouraged (but not required) to dress in 1920's attire, which will only add to the glamour of the event! The after party is open to all who want to join in the festivities of the evening, even if you are not able to attend the Soiree and Screening! 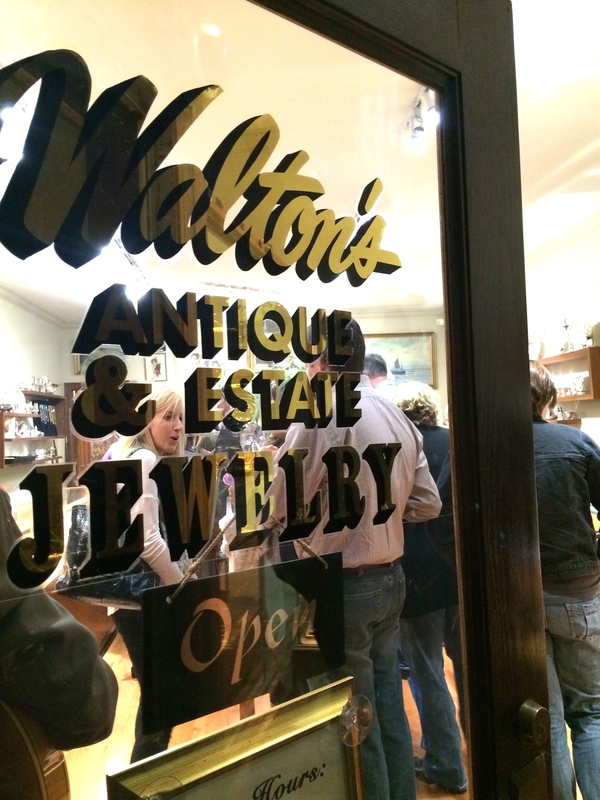 The after party will begin at 8:00 pm at Walton's Jewelry. A special thank you to Beth Curley, CEO of NPT and Sheila Fischer, Corporate and Community Manager of NPT! 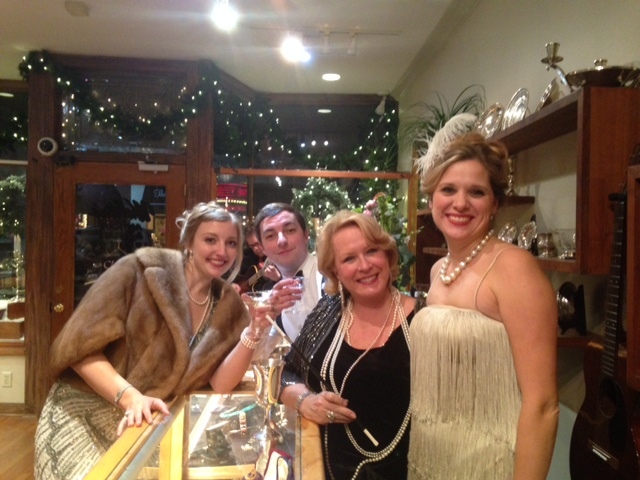 Be sure to look for them, as they will be decked out in Art Deco jewels from Walton's!